align.me is please to announce further enhancements to Funnel Plan for January 2014. Like we did for Funnel Math in December, you can now see Objectives represented simply and in a mroe detailed fashion side by side. This means you can start with simple objectives (this much revenue from this many deals growing this much annually), then get as granular if you want (change every month, quarter, year of the 4-year window), but can still see the net effect to make sure your fine-tuning doesn’t miss the big point. As a pre-work user, we keep your plan simple with menus only showing access to a sub-set of the forms. Once you are in training mode you get many more, and in full mode (after your training) you get more still. Some users want to be able to iterate with the simplified version of the Objectives even when they have permission to access the more-detailed Objectives. We’ve now set this up so that once your user profile has been upgraded to ‘training’ or ‘full’, you get both the simplified and advanced Objectives. Edit any field in the simplified form and the values will be applied to the advanced form evenly. Under the current licensing model, there are no charges for view-only users, and a plan can have an unlimited number of standard users for the first 90 days of the plan (to allow you to complete your planning). 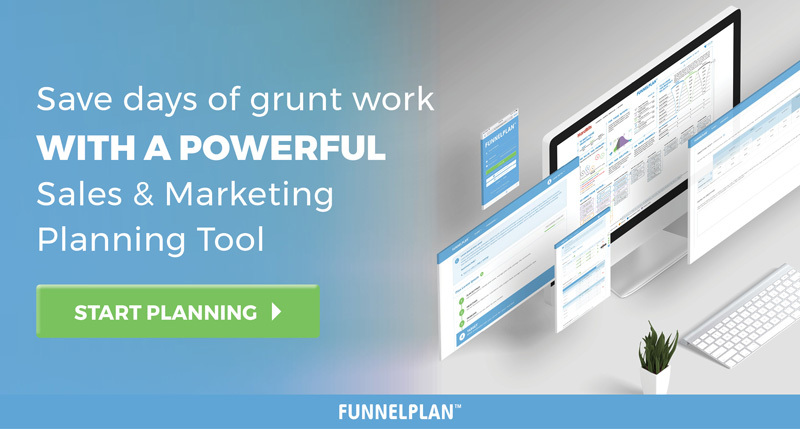 We’ve improved the speed of most forms in Funnel Plan by completely redeveloping them. Load times for each page are still slow, but once you are in a page, edits to the data are quick. We’re working on load times, hopefully for the February release. We’ve continued to add help videos, with 4 new ones this month: how to select the best market, how to shape a winning solution, how to beat your competition, how to choose the best channel (including resources). 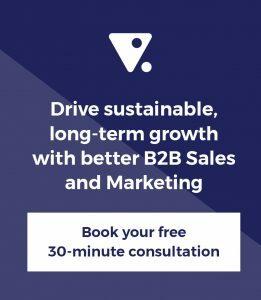 Funnel Plan is presently available to accredited Funnel Coaches (see the contacts tab and select your region) for their use in sales and marketing planning workshops (Funnel Camp) and those who have been trained in its use in either Funnel Mastery (planning workshop) or Funnel Academy (B2B marketing training). For details, please contact your nearest Funnel Coach.